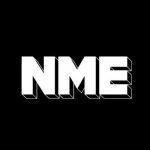 The NME Awards 2015 with Austin, Texas are upon us! Well, almost. A gruelling 24 hours stand between us and a room full of the year’s biggest and best talent from the world of rock, pop and rap at the time of writing. It’s okay though – to help ease the wait, we’ve put together a true-or-false quiz on the weirdest and wildest moments in the quiz’s history. Give it a go below and remember to stay tuned to NME.com tomorrow for all the build-up, live updates from the ceremony and reaction. If you fancy witnessing all the action for yourself, the last few tickets are available to buy here.